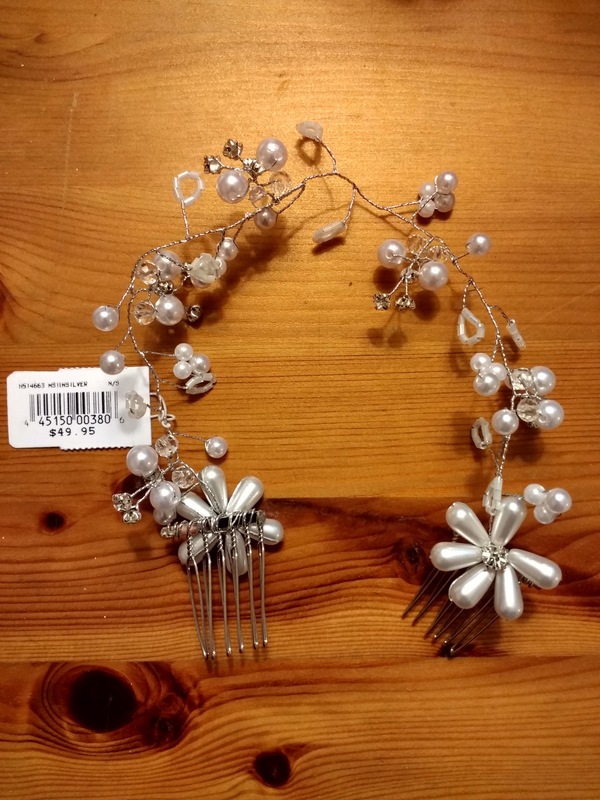 Pearl, rhinestone, and silver wire hair accessory from David?s Bridal. It is brand new. The color doesn?t match my dress, so I?m selling it.